The relatively unknown story of the Polish fliers who found themselves fighting for the freedom of their own country in foreign skies. Learn more by purchasing a joint ticket and visit the Tangmere Military Aviation Museum (Sat 23 Feb 10am) to see a Hurricane aircraft and the Polish and Czech Pilot Exhibition. 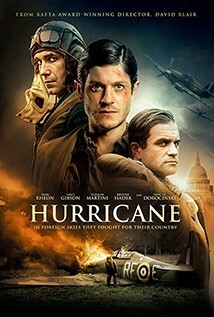 Seen through the eyes of Jan Zumbach (Iwan Rheon), fighter ace and adventurer, we see how the Poles, driven across Europe by the German war machine, finally made their last stand. Flying Hurricanes for the RAF over Britain, they became a key component in the legend of 'The Few'. Up against the might of the Luftwaffe they hoped that, by saving Great Britain from Nazi invasion, they were keeping the dream of a free Poland alive. Prior to the Saturday screening, the Tangmere Museum’s Deputy Director, David Coxon, will introduce the film.